August 2018 – AbraxSys announced this month the release of a brand new marine grade LCD product family. These newly released models meet a growing demand for higher performance displays than typically available through other industry suppliers. May 2018 – AbraxSys announced today huge advancements to its already very rugged 15” LCDs. 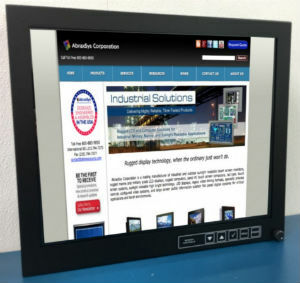 These newly released improved 15″ models meet a growing demand for higher performance displays than typically available through other industry suppliers. 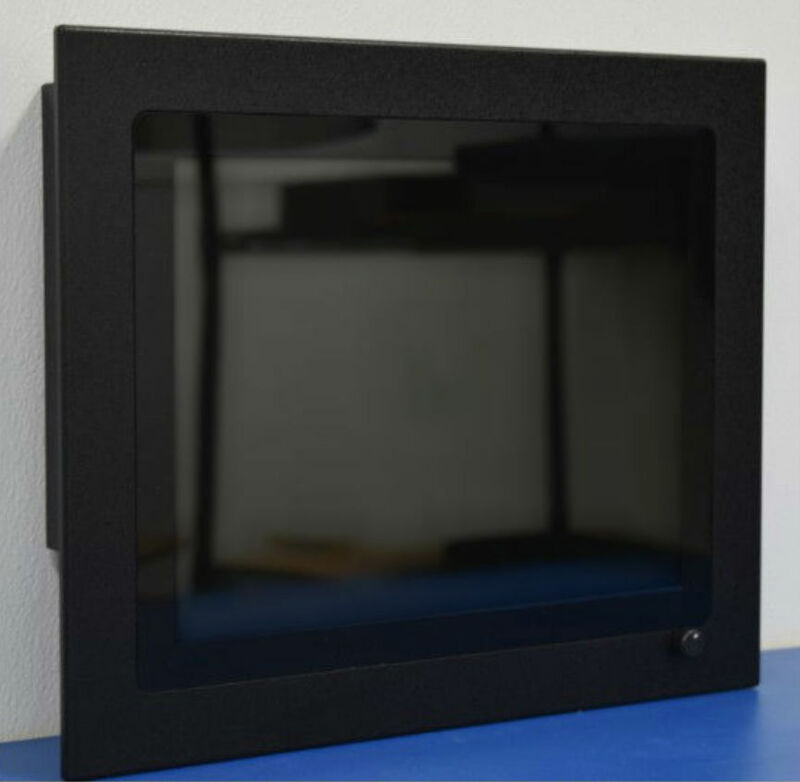 This very rugged LCD monitor series is designed to operate in harsh areas where dust, water intrusion, high operational and/or storage temperatures, and rough use are commonplace. These 15” models are state-of-the-art and now boast 500 nits of brightness and a tremendous 2500:1 contrast ratio. This results in amazingly bright, crystal-clear images. This series of rugged monitors is ideal for use in a wide range of industrial, law enforcement, aviation, marine, military, inspection, advertising and transportation applications where 24/7/365 usage is necessary and where temperatures can reach exceptionally high. Lahaska, Pennsylvania – AbraxSys announced today the upgrade to its entire panel PC product line. This migration now includes: 6th Generation Intel Core SoC i7 or i5 BGA Processor (standard i5-6300U, 2-Core, 2.4GHz | Optional: i7-6600U, 2-Core, 2.6GHz), 240GB Solid-State Drive (higher capacity available), 8GB memory (expandable to 32GB), a vast array of I/O and Ethernet ports, Intel’s Skylake graphics chipset, solid-state long-life LED backlighting, solid-state storage devices, and exceptional temperature ranges: Operating Temperature: -10° to 60°C (14°F to 140°F), Storage Temperature: -40°C ~ 75°C (-40°F ~ 167°F). As well, a multitude of add-on features are available to meet our customer’s specific requirements. Environmental awareness: Mercury-free and fully compliant with Europe&#39;s Restriction of Hazardous Substances Directive (RoHS). Pipersville, Pennsylvania – AbraxSys announced recently the release of a new series of 13.3” rugged LCD monitors. These 13.3” models meet a growing demand for higher performance displays than typically available through other industry suppliers. This newly released series offers such features as 1920 x 1080, true High-Definition 1080P resolution, with choice of 400 nits brightness or 1500 nits Sunlight Readability, extended operational temperature ranges, a multitude selection of inputs including VGA, DVI, S-Video. DisplayPort, HDMI, and Composite, and a host of possible mechanical configuration options and add-on features. AbraxSys announced today the release of a new series of very wide operational temperature LCD models, both for indoor and outdoor usage. AbraxSys’ Industrial, Marine and Military grade products have been engineered to withstand long operating hours with thermal characteristics considerations built into the overall design for proper heat dissipation. The majority of AbraxSys’ products are typically operated 24-hours every day, 7-days per week, week-in and week-out each month, for years on end. AbraxSys announced recently the release of a new series of 18.5” rugged LCD monitors. These 18.5” models meet a growing demand for higher performance displays than typically available through other industry suppliers. This newly released series offers such features as 1920 x 1080, true High-Definition 1080P resolution, with choice of 350 nits brightness or 1000 nits Sunlight Readability, extended operational temperature ranges, a multitude selection of inputs including VGA, DVI, S-Video. DisplayPort, HDMI, and Composite, and a host of possible mechanical configuration options and add-on features.